Ormond Energy has been a member of the local business community for over 50 years. Decades of experience, high standards of customer service, and affordable rates are just a few of the benefits that set us apart from the rest. See why so many farmers and business owners across our North Carolina service area turn to us for commercial delivery of propane, autogas, and diesel. 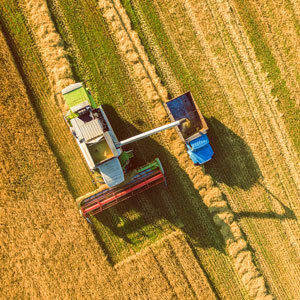 Quality fuel service is crucial for North Carolina farmers, especially during peak operating seasons. 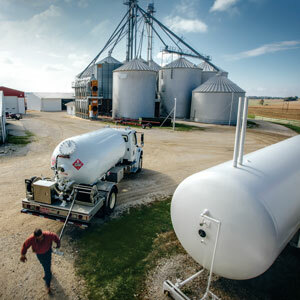 Tobacco farmers, livestock farmers, and chicken farmers alike trust Ormond Energy to provide delivery of quality propane, diesel, and gasoline. Set yourself up for success by choosing a fuel supplier that can meet the demands of your business. Ultra-efficient propane and premium off-road diesel products are available for delivery to restaurants, job sites, commercial locations, and more across the state.